The real challenge comes after HK shipping. Very true. A $40 plane becomes a $75 plane really fast. I use Blue Fan Fold Foam (FFF) and I have gotten the cost of my airframes down to $1 to $3 US including glue and paint. Chuck Norris? I bet in that picture he's killing 200 ninjas with a shockwave from his thumb! 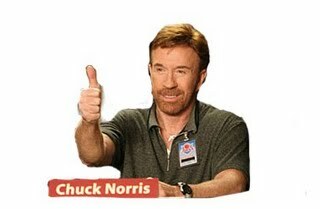 LOL Chuck Norris is awesome! Norris made me write this! My Bixler ARF cost me $51 and the shipping cost me $40. Hilarious!